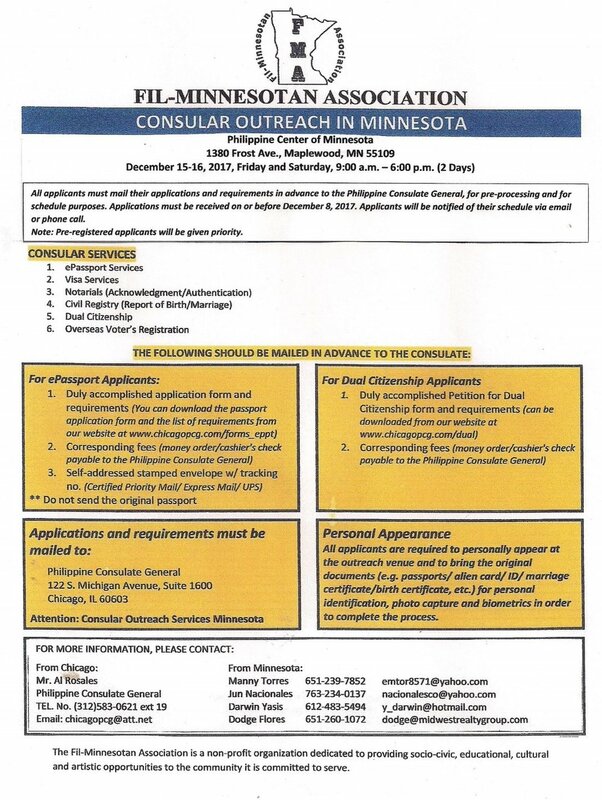 FMA is hosting the Philippine Consulate General from Chicago to extend consular services to Philippine citizens our local community from Minnesota, Western Wisconsin, and the Dakotas. PLEASE NOTE: All applicants must mail their applications and requirements BY DECEMBER 8, 2017, to the Philippine Consulate General for pre-processing. See below for information.